New spacecraft propulsion: Space propulsion Dean Drive inertial engine loses weight, 20x more efficient than rockets by using centrifugal force thrust. For 140 years - and thrice as many patents - inventors have been working on reactionless drive or "space propulsion drive" to achieve anti-gravity. In 1980 while going through my father’s old magazines, I found an article about the Dean space propulsion drive. Fascinated, I showed the piece to my long-time friend Steve Hampton who became engrossed with the concept. 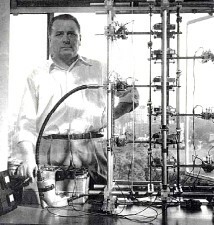 First patented in 1959, Norman L. Dean’s contraptions propelled themselves using the centrifugal force of spinning weights. Such “anti-gravity” machines appeared to break Newton’s third law of motion and the two resultant conservation laws in physics. However, the long-lost secrets of Dean’s inertial propulsion (IP) system died with the well-known but controversial inventor in late 1972. All that publicly remained of his fantastic impulse engines were a half-dozen magazine articles, two perplexing patents, and lots of conflicting opinions. 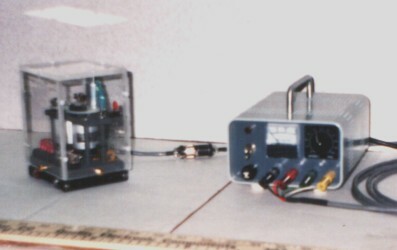 Inertial Engine E-2 with its power supply, PS-1 – circa 1988. 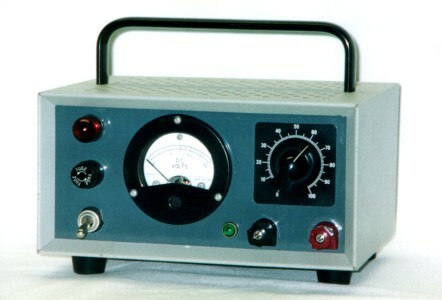 This modified Buehler drive (6"x5"x4") was an attempt by Steve Hampton to decrease negative phase acceleration in order to bias the oscillator into positive phase momentum. Lessons learned: loss of rotor momentum anywhere within the cycle means death to centrifugal force; also, higher torque is needed to effectively drive the rotors. Thirty-five years of research and 9 prototypes later, Steve has unlocked the long-lost secrets of the Dean space propulsion enigma. Though the new spacecraft propulsion engine E-8 is based on the Dean drive it’s different enough to warrant a new patent with 18 claims. You see, according to a handful of witnesses, Norman Dean could demonstrate a weight loss of only 5%. Though this was a great feat, we solved all the big problems. 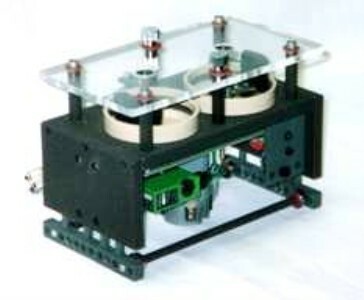 Inertial Engine E-3 (9"x6"x4.5") built by Steve Hampton in 1989 is considered a high-frequency device, as far as mechanical inertial drives go. It has fewer moving parts than a Dean drive (thus low maintenance) and could be an efficient source of propulsion for satellites and deep-space probes. Lesson learned: Though E-3 is a viable drive; greater radial vectoring is required to generate sufficient thrust to work against Earth’s gravitational field. Patent Pending. The new spacecraft propulsion engine E-8 alone took Steve sixteen years in his spare time to design, build and perfect. Three of those years were spent finding the right ON and OFF times for the shifters and the ON and OFF times for the clutches. We also had to find a way to rapidly clutch and release low-friction rods perpendicular to motion with no leftover clutch-pad or rod debris. Then it took two years to find the positive stop settings that allowed us to fine-tune optimal shift and clutch times, not to mention 14 revisions that gradually improved performance and stability. It took him almost two years just to draw up the patent papers. As a consultant, I too devoted time and energy to the project and helped design the clutches on this new spacecraft propulsion system. 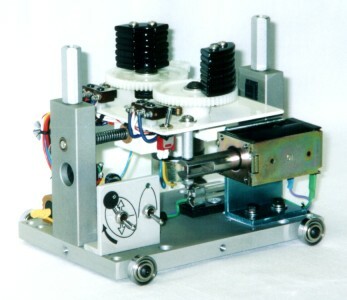 Inertial Engine E-4 (7.5"x5.5"x5") built in 1992 was Steve’s first Dean drive. See video above. We demonstrated this gem at the now-defunct International Tesla Society’s Extraordinary Science Symposium back in 1995. (At that time it wouldn’t work because we unknowingly had the power supply set to the wrong voltage.) It can pull a load equal to its weight. Though a low-frequency system, Dean Drives can supply the driving force needed for thrust to move loads in space. Lessons learned: The rotor/carriage weight ratio has to be high for maximum thrust. This single-cycle engine will translate on roller bearing wheels at around 2"/sec. So what are impulse engines? Impulse engines are machines that, aside from being engineered for space propulsion and levitation, create an unbalanced force from a balanced system, or in Star Trek terms, “impulse drive”. Such machines don’t use friction with the ground, displacement of water, aerodynamics or the expulsion of mass to propel it. Its thrust is a pulsed unidirectional phenomenon cyclically plucked from the angular momentum of eccentric rotors  making it 20 times more efficient - and safer - than current space propulsion. Electricity is the only requirement. The new spacecraft propulsion drive we are presenting - E-8 - bias’s the axis of spinning eccentric rotors at a precise time in the cycle shifting them into exaggerated apogee and forming elliptical orbits thus releasing centrifugal force. Power Supply PS-2 is a regulated electrical source for inertial engines E-3 and E-6 with a variable 24 volts DC. 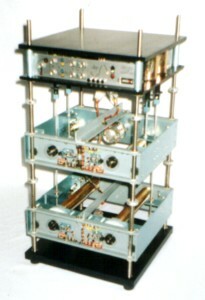 It was constructed by Steve in 1989 to deliver up to 4 amperes of current or about 75 watts if needed. The above mentioned impulse engines however, require much less power. But what about the immutable laws of physics? The energy of a given system can only be changed in some finite length of time, depending on the system, and never in zero time. 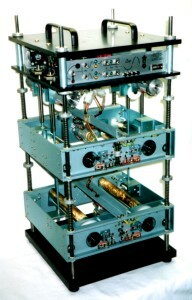 The result of this “rectification” of mechanical oscillators are impulses which can be used for hundreds of applications including recoilless jackhammers, grav-lev fork lifts, portable skyhooks, spacesuit and satellite drives, hovercraft levitation and most importantly, for a whole range of new space craft propulsion systems. Such drives could one day help us mine asteroids or even take humans on a Mars mission. 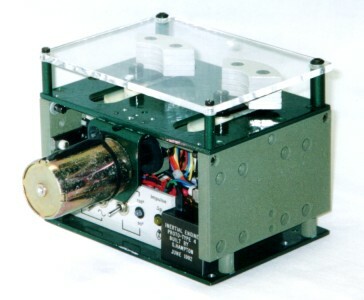 Inertial Engine E-6 was Steve's second Dean drive (6"x6"x4.25") built in 1995. It is a 2.6 lb, single power source, university physics lab demonstration model that can pull a 4.5 lb load (~2x its weight) at ½“ per second using 13 watts – twenty times more efficient than typical propulsion. 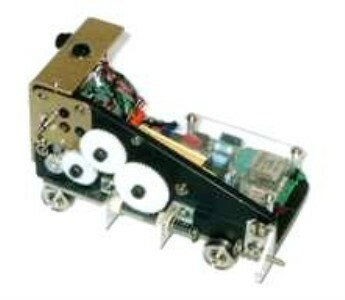 This Dean Drive also rides on roller bearing wheels and has a black-box cover with load sled. (See opening to "The Dean Drive" next page.) Lessons learned: Increasing rotor mass decreases carriage frequency; multiple cycles are needed to produce high enough frequency and thrust to overcome inertia. Just exactly how this thing works involves shifting time bases and multiple inertial frames and Steve can explain it better than I. The following pages will show you just how this revolutionary engine works. If you’re really into the physics of it, Steve (a published author with Paladin Press since 1987) has written another book entitled DEAN DRIVES AND DAVIS MECHANICS, Inertial Propulsion and the Manipulation of Time in Symmetrical Systems. See "Patent Secrets" at the end of this website for the e-book. Inertial Engine E-9 Steve's “Herman Munster-mobile” is also not a Dean drive, demonstrating the field of inertial propulsion is wide open for innovative ideas. This space drive is a hybrid rotary-to-linear system - a fusion of E-8’s shifters and the Henry Bull drive of 1935 where time can also be gained in positive phase. Built in 2007 this space drive (8.5"x5"x4") is a 3 lb. recoilless jackhammer drive controlled by an electronic oscillator that will quietly and smoothly impel a load twice its weight on level rails and roller bearing wheels using just 15 watts of electrical power. Patent applied for. E-8 is a reciprocating impulse drive (RID). It's a compact system measuring just 12” x 12” x 24” and is constructed of stainless steel springs, rods, and hardware throughout. Holding two pairs of 2 lb rod-rotors of solid brass, the lightweight carriages are sky-blue anodized aluminum and heavy-duty fiberglass. Black Delrin® platforms and white Delrin® gears ensure lightweight toughness. All bushings are lightweight space-age iglide® thermo-plastic. It’s wired with military grade colored-coded Teflon® insulated stranded wiring; solid-state switching with optical-encoder cams controlling the four solid state relays (SSR's) and all panel lighting is done with efficient LED's. Carriages and mainframe have ± acceleration sensors with display and diagnostics on main panel. Built under Mil-Spec 454 soldering and 2000A quality standards, this modular spacecraft propulsion engine was designed for easy assembly and disassembly for adjustments and transport. 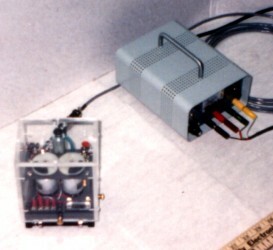 Inertial Engine E-8 (24"x12"x12") built by Steve in 1996 before he designed and installed the fourteen revisions that finally made it work. Back then, though, it was a monster. Once it fired up, it would stomp across the floor and set the whole apartment building into vibration so we nicknamed it "Frankenstein". I then suggested to Steve it just needed a little white lithium grease. Afterward, it ran so much smoother - and quieter - letting the neighbors sleep at night while we continued our mad experiments. Sale or licensing of this machine includes a rugged, marine-grade, triple-coated polyurethane wooden instrument cabinet/shipping crate with built-in dolly. This handsome lockbox securely holds the assembled engine, its power supply, tether chains and engineering blueprints (with details not delineated in the patent). Dust particles on the top-plate dance so fast they Levitate from centrifugal force of the whirling elliptics. For Steve and I it has been a long uphill battle. The reason we took the bold step of publishing this website was because of resistance from the scientific community at large. We have applied for grants and have been turned down by a dozen agencies twice over. We've been turned down by the best: NASA, the U.S. Department of Defense (the Army, Air Force and the Navy), the National Institute of Standards and Technology (NIST), and even the National Science Foundation (NSF) to name a few. We received such encouraging replies as, and I quote one scientist from NIST, "Motion cannot be produced without reaction against some form of mass". unquote. And one scientist from the Defense Advanced Research Projects Agency (DARPA) wrote back to us this insightful evaluation of our proposal "The 'Dean drive' has been around for 40 years, and has little merit". A staggering observation. So we had to resort to building this new spacecraft propulsion engine out of our own pockets. Now we want to show the world that this new space craft propulsion system works and is available. If you are a prospective buyer of this new spacecraft propulsion engine, relax. Someone could no more build a working RID (or even a basic working Dean drive for that matter) based on this site's illustrations or video - then they could build a working car from a magazine ad. If you are a serious buyer please contact us. Requests from SERIOUSLY interested parties only please. All other queries, comments and suggestions are most welcome! Patents pending. All copyrights © are also reserved. May his contribution to the science of inertial space propulsion not be forgotten. Richard F. Dempewolff, Engine with Built-in Wings, Popular Mechanics, Sept. 1961. United States Patents #2,886,976 in May 19, 1959 and #3,182,517 in May 11, 1965. John Campbell, Jr., The Space Drive Problem, Astounding Science Fact and Fiction, June 1960, page 98. Thomas Valone, Ph.D., conversation with Steve and I at the Extraordinary Science Symposium, International Tesla Society, Colorado Springs, CO, July 23, 1995. From Dean Drives and Davis Mechanics, Inertial Propulsion and the Manipulation of Time in Symmetrical Systems © 2007, 2011.